We are exporting meranti sawn timber(Secti sunt materia Meranti) from India in different sizes and specification as per buyers request and are currently exporting our product to most parts in Middle East Market in size 2" x 6" and above in lenght 8 feet and up. We hold expertise in offering a wide range of Sawn Timber. These are admired for their top quality and fine finish. Processed under the firm direction of experienced quality controllers, our products are widely acclaimed for their finest quality and rough and tough usage. We offer our Sawn Timbers in various sizes. 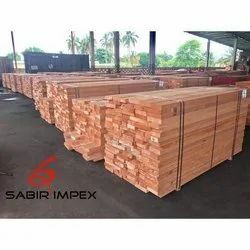 - We are Manufacturer, Importer and Supplier of Malaysian Origin Merbau sawn timber as per regular size 3" x 4", 3" x 5" We also supplying as per customer's size requirement. Our prestigious customers can acquire from us an exquisitely crafted plethora of Burma Teak Clean Cut Sawn Timber. With high skilled & vast experienced - Workers and supervisors - we are producing - high quality sawn sizes of Teak, pyinkada, padak, sal, Purble heart etc., desired measurement of our customer -satisfaction. We export African and European wood species in logs and sawn timber, this includes all of the most commonly traded species in West Africa and Eastern Europe. A beautiful reddish-brown Myanmar Hardwood. Credera exports this Myanmar Sawn Timber India, Thailand and other Markets. 1. 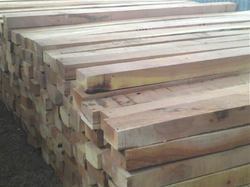 4"x2.5" , 4"x3" , 5"x2.5"
We at Tirupati Tradelinks (P) Ltd. provide Sawn Timber to our customers in desired size. Sawn Timber is timber that is cut from logs into different sizes. It is generally cut into varying rectangular widths and lengths. We offer high quality range of Sawn Timber. These are termite resistant, resistant to harsh weather condition, fungal resistant, bacterial resistant as well as water resistant.These find application in making doors, door frames, windows, window frames, window shutter and other furniture. We offer our range at market leading prices. We offer high quality range of Sawn Timber. These are termite resistant, resistant to harsh weather condition, fungal resistant, bacterial resistant as well as water resistant. These find application in making doors, door frames, windows, window frames, window shutter and other furniture. We offer our range at market leading prices. Uses for all kinds of fumigationfree packaging ; formwork ;Construction beams, rafters and columns for wide range of buiding structurals . We are one of the biggest merchants of sawn teak wood, Padauk, Kwilla( vengai), oil saal, Neem tree in madurai. Our aim is to deliver quality products with better rates.We are succesfull since 40 yrs by following our motto of "quality beats cost".